The film fest was kicked off with Teddy, a short by Steve Goltz and Kevin Sommerfield. 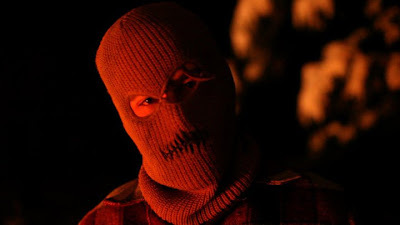 Teddy is an 80's style camping slasher with a hint of I Know What You Did Last Summer. So if you know me at all, you know I loved it. I hope to screen it at Slaughter! 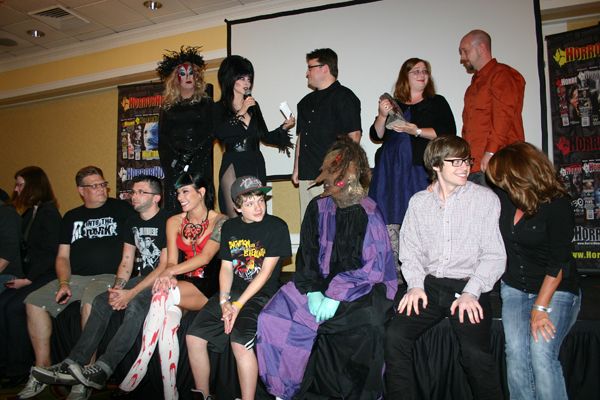 The films were judged by Bill Moseley, Sybill Danning, and Joe Bob Briggs. The winners of the Best Short and Best Feature were flown out to LA on Thursday, the 13th, for a premier screening of both films hosted by the Mistress of the Dark herself, Elvira, presented by Stan Lee's Comikaze Expo. The winners were Found (feature) and Other (short)! Found also won Best Actor and Best Director (Feature). I can not wait to watch. I did have a chance to see Other and wow. This is unlike anything I have ever seen. The synopsis: “Patrick is a brilliant doctor in an obsessive race to alter his own grim prognosis. During a series of unconventional experiments, he discovers a scientific loophole unlike anything he had ever imagined. In pursuit of this dark prize, Patrick will risk everything to ensure he sees his experiment to the end...even if it means accepting the sinister results.” Having lost someone to a disease I understand the want to go to ridiculous lengths to buy time and although this film takes it to a place that is more fantasy then reality, I could connect to it. And in hindsight, I realize it is so much more than that. Other swept the entire show: Best Short, Best Director (Short), Best Screenplay, and Best Score. Nailbiter: Best Cinematography and Best Creature. Dear God NO! : Best Body Count and Midnight Monster Movie. Baby-Sitting, a short by Lucas Masson from France, won Best Gore. I am very excited to check this out.